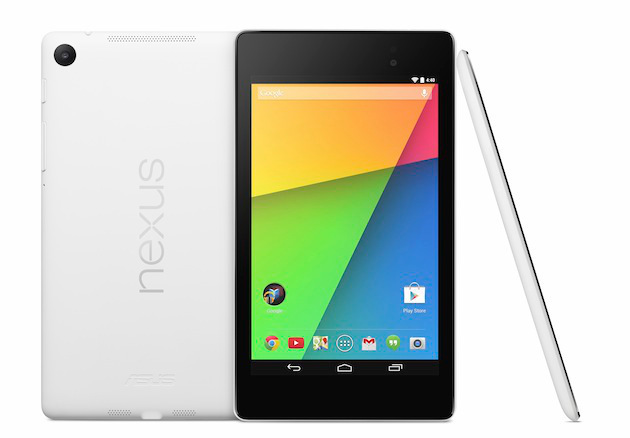 Google has just released a white version of the Nexus 7 tablet, in white and packing 32GB of storage, available now for $269 on the Google Play Devices store, so long as you’re in the U.S., U.K. or Japan. There’s no LTE version and no 16GB model, unlike with the black Nexus 7, but if you’re looking for a color match tablet for your white Nexus 5 you’re now in luck. The bezel retains the same black paint scheme, and there’s no change beyond the back panel color job in terms of performance or specs. The Nexus 7 is a fairly capable Android tablet, however, and most likely the best deal available at that particular price point depending on your needs. If you’re looking to grab one, it’s probably a good idea to pull the trigger on that order, quickly, since these are probably going to be in fairly limited supply at launch. Posted on December 10, 2013, in Mobile, News Tech and tagged Google, Google Play, Nexus 7, Price point. Bookmark the permalink. 1 Comment.